What % for Valdes-Scantling in a 14-teamer 0.5 ppr? 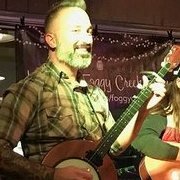 Interests:Banjo, guitar, mandolin, dobro, computers, fantasy football. 2 QB league. Week 9 and 10 bye weeks are killers for my team. This week I have Cousins on bye (along with Hopkins and Thielen) and I'm going against one of the best teams in the league (we're both 8-1 after this week) so I need all the help I can get. Otherwise my team is pretty solid. I have Beathard, and was reluctant to drop him in favor of Mullens for week 9 in case I needed Beathard for week 10. Since Mullens has been named the week 10 starter, Beathard is of no use to me. The only other options for QBs on the WW are whoever suits up for Buffalo, or I could roll the dice with Drake or Coleman in the superflex spots. Long story short: I have $69/100 of my FAAB. Am I insane if I use most or all of it for Mullens for a one-week bye fill-in? I have 164/200 left and could use a rb with upside for the playoffs. What should I put down? I’ve got $50 left in a 14 team half-ppr league and I own Collins, so as of now, I’m going nearly all in and bidding $37. Might up my bid to $41 though since the wire is so thin and I’m pretty much set at every position. nothing on justin jackson? gordon owner who doesnt own ekeler. any thoughts? This is old. Will post the new later on today. @smeeze @herschel Here you go.